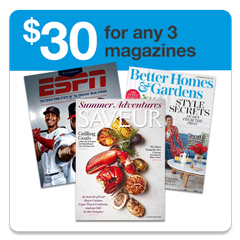 www.SubscriptionAddiction.com is proud to offer our 90-Day Money Back Guarantee with your purchase. If for any reason you are unhappy with your purchase, we offer a full refund within 90 days of placing your order. After 90 days, we offer a pro-rated refund for unserved issues on a case by case basis. 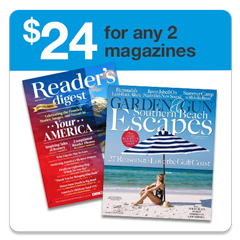 As always, www.SubscriptionAddiction.com has site-wide free shipping and no sales tax on all our magazine inventory. We do not auto renew any of your orders. As a service we send a renewal reminder email when your subscription is due for renewal. 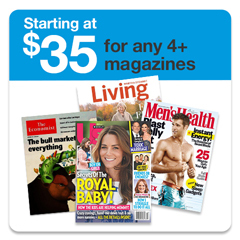 It is our goal at Subscriptionaddiction.com to provide our customers with the lowest possible price on our wide selection of popular magazines. If you find a lower price than our advertised price, then contact us for a price match. For additional terms and conditions see our Price Match Guarantee page. Our specialized team is on staff 24/7 to help you with any questions or concerns you may have.